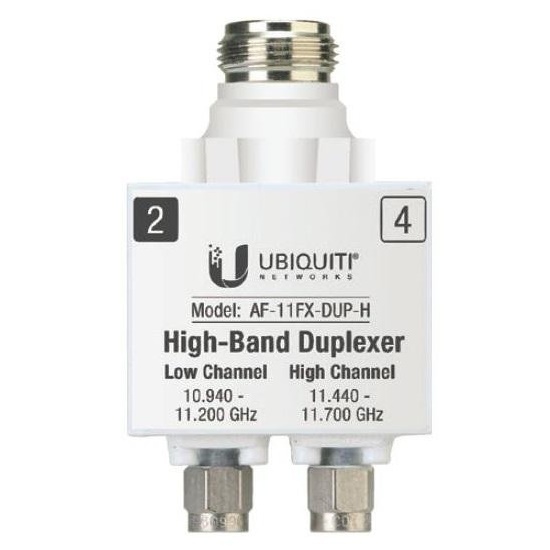 The AF-11FX features a unique modular duplexer design to suit multiple frequency configurations. Each AF-11FX radio can be configured to support any allowable frequency by simply changing the duplexers for high-band or low-band use in the 10.7 - 11.7 GHz allocation. Each duplexer has a low channel and a high channel that can be configured by simply reversing the position of the duplexer.